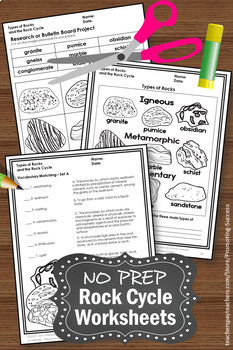 Elementary and middle school teachers will download a no prep printable science packet. 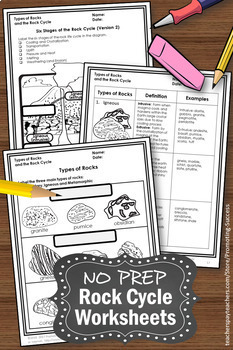 Students will learn the three main types of rocks: sedimentary, igneous and metamorphic. They will also examine two versions of the rock cycle and label the parts. 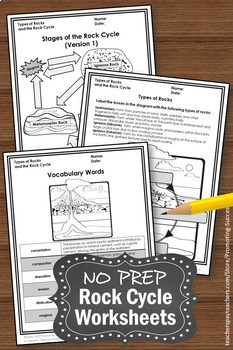 Vocabulary words and definitions are given, and then the students will practice matching words to definitions. A chart is given that describes the types of rocks, definitions of each and examples of each. Students are then asked to complete their own chart. 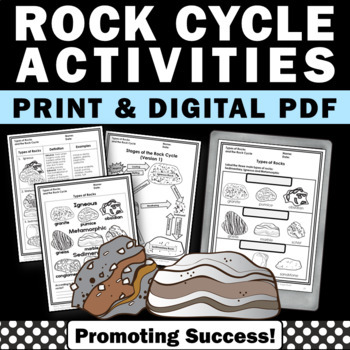 Rock images are also provide for a student research project or science center bulletin board. Please click on the PREVIEW.